Haitham Alsarraf is a Kuwaiti author of two books, Inshallah, Habibi and Invasion Occupation Awakening. He holds an M.A. 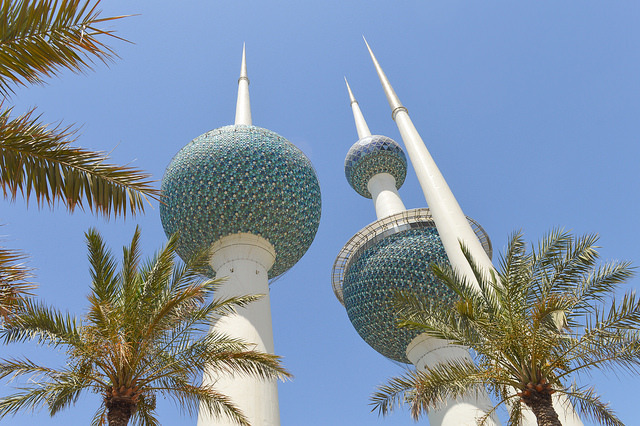 degree in English literature and teaches English at Kuwait University. Haitham was the founding editor of the Kuwait University literary magazine, Perceptions and the online literary magazine, Kaleidoscope. His work has been internationally published in Jewish Literary Journal, Blue Minaret, Pif Magazine, The Ofi Press, Sukoon, and Egg Barrel. When Haitham is not teaching or writing, he immerses himself in travel, human oddities and the paranormal. His next work revolves around just that. A fictional account of Ibrahim, an Egyptian man who finds himself living in a dystopia where the city around him is being torn down, bit by bit. It is also the story of arugula and how to survive through the darkest of times. 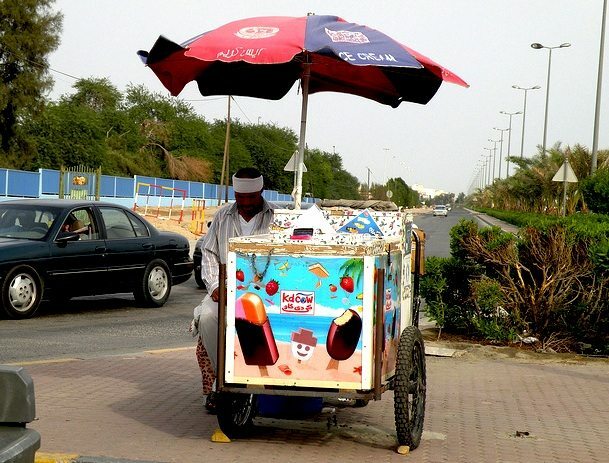 A striking flash fiction story about an Iraqi ice cream vendor working in Kuwait, written by Haitham Alsarraf.